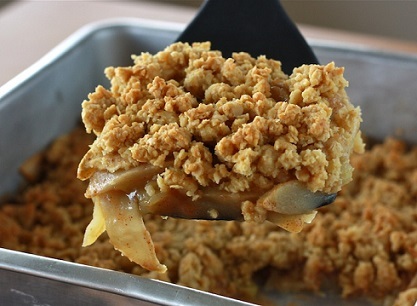 This Apple Crisp Recipe is a mainstay dessert recipe at the restaurant. Enjoy! Apple desserts are still an American favorite. This recipe is a "Best Restaurant Dessert Recipe" according to the restaurant customers. Having it with ice cream is something almost everyone enjoys. 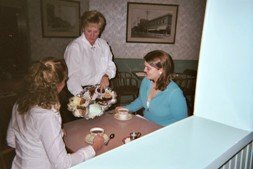 At the restaurant we still make many "signature" desserts. This is one of them. This Dessert Recipe has been requested by many restaurant customers (guests) over many years. Preparation time: 30 minutes. The recipe serves 12. YUMMY! Some customers even order this for their breakfast! It is a best restaurant dessert recipe. Thanks for surfin’ onto the website. Spend some time “clickin’ around for more real restaurant recipes. ENJOY your Apple Crisp and the company of those you share it with! It is comfort food for many people. Did you know? China is now the world's largest apple producer, followed by the U.S. in second place. Washington State accounts for more than half of total apple production in America.